Raised by strong women in Tanzania, Nusura Gundi Myonga wants to be a champion for other girls. Myonga, now 20, lived with her single mother in the village of Malolo in the eastern Morogoro region, about 120 miles from Dar es Salaam. There her mother worked in a restaurant and did other small jobs to make ends meet, and “life was very hard,” Myonga recently recalled. When her mother died when Myonga was 5 years old, her grandmother took over her upbringing. Then her grandmother became ill, and Myonga sold snacks and other goods on the street to help support her. They were poor, but her grandmother knew the value of education. 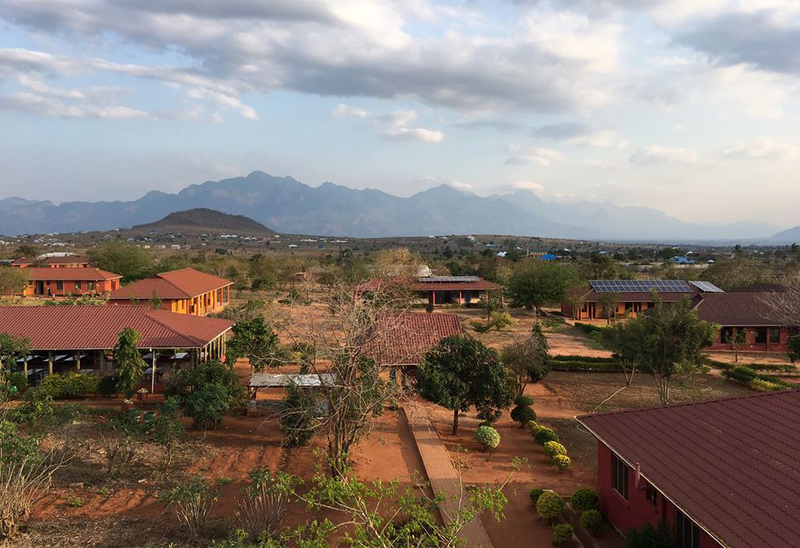 She had heard through friends about an all-girls high school in the city of Morogoro that provided a good education — for free. After traveling to the city to find the school, Myonga applied and gained admission. 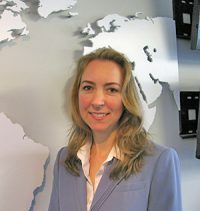 The SEGA (Secondary Education for Girls’ Advancement) boarding school was started in 2007 by Polly Dolan, a former CARE International worker in Tanzania, with the help of her sister Tracey Dolan. Like Myonga’s grandmother, the Dolans recognized that keeping girls in school was the key to giving them more opportunities. The lack of an education could lead to early marriages and childbirth at a young age – the outcome of many other girls in Myonga’s village. Girls in poor families often drop out of school between the primary and secondary levels, because they cannot afford the fees to attend high school. Until this year in Tanzania, only public primary schools were free. Although public secondary schools are now free as well, students must still pay for their uniforms and books. To raise awareness and funds for their boarding school, the Dolan sisters established a partner organization in the United States called Nurturing Minds in Africa. “We literally started with 30 girls in a borrowed classroom,” said Laura DeDominicis, Nurturing Minds’ executive director. The campus now has 24 buildings on 30 acres. At first, the organization recruited teens who had been out of school for a few years, who might already be married with children and working in menial jobs. However, that approach brought challenges. Much of the first year was spent getting them back up to speed on the education they had missed, and often their employers didn’t want to give them time off from work, DeDominicis said. “We decided to dig deeper and prevent girls from dropping out” in the first place, she said. The organization partnered with several primary schools to identify girls at risk of dropping out, and began enrolling them in the boarding school during their last year of primary school. They attend the five-year SEGA boarding school from age 12 to 18. Each year, the number of girls enrolled in the five grades of high school has increased. There are now 270 girls at the school, and most will pursue a university education, DeDominicis said. Others enter careers as nurses and teachers. Capitalizing on an entrepreneurial culture, the school has added training on how to start a business, as well as leadership development. “Most Tanzanians, even if they have pretty good jobs, because the wages are low, they will often have a small business on the side,” DeDominicis said. For instance, one of the graduates began a business selling beaded laptop cases. 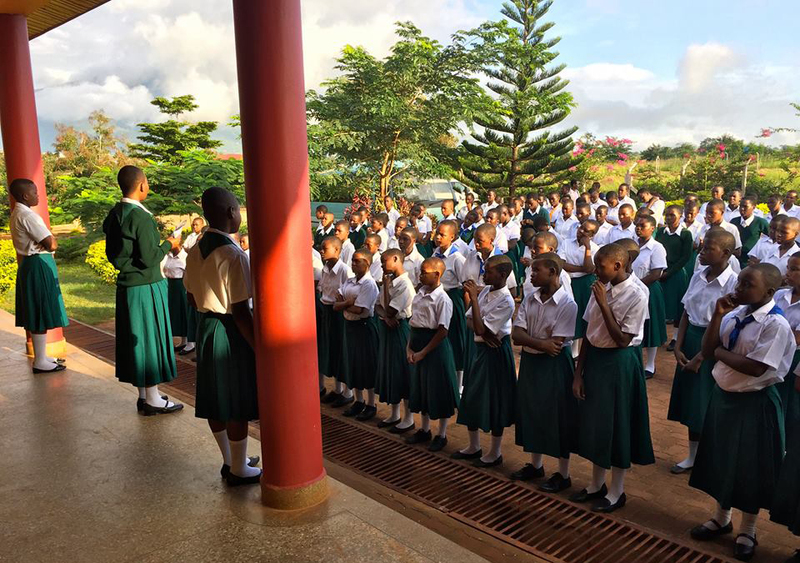 The girls also learn English (Swahili is the other official language of Tanzania) and how to run a guesthouse on campus, which hosted 100 visitors last year. “It’s kind of a learning lab for them. Tourism is huge in Tanzania, so this is also a potential employment avenue,” DeDominicis said. Even if the girls do not get a job or go on to attend university, they still return home equipped with knowledge, such as about family planning, and are often sought after in the community for their advice, DeDominicis said. In Myonga’s case, she graduated in 2015 from the SEGA school, where “I felt so loved and supported.” She completed two years of pre-university at the African Leadership Academy in South Africa in June 2018. Now, she is interning at the Boston Women’s Fund, which supports community-based organizations run by women and girls. Her goal is to return to her village and set up an organization that coaches girls on their education and work-related options. 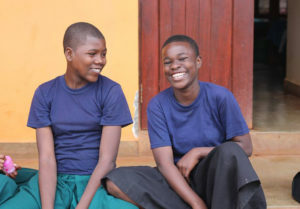 “Most of the people in my village – and in Tanzania generally – believe that girls are (destined) for marriage only,” Myonga said. Many believe that “a girl is not your daughter because a time will come when she is married and she will go to the man’s family.” And many girls end up believing that themselves, she said.